Courtesy of the MIT Museum. Reproduced by permission. streets, which were often flooded with pools of stagnant waste from the open sewers. She saw filth, disease, suffering, and poverty that took the lives of half the children living in these conditions. She determined that chemistry should be used to provide a meaningful service to society by improving people's health and environment. Her pioneering work on the effects of industrial pollution and sewage on human health led to the world's first sanitary engineering program and water-purity testing formulas, which are so precise that they are still being used. Her work in food additives led to the creation of the first pure food laws in the United States. In an 1892 speech to other scientists, she first introduced the word and concept ecology, referring to the relationships of organisms to their environments, whether natural, domestic or industrialized and human created. Her book, Euthenics: The Science of Controllable Environment: A Plea for Better Living Conditions as a First Step toward Higher Human Efficiency, which was published in 1910, introduced ecology to the public. Swallow's dedication brought environmental concerns about clean air, water, sanitation, and pure food to the societal, home, and individual levels and called for the integration of all the sciences to solve environmental and health problems. Swallow's difficult but successful entry to higher learning also paved the way for other women. In 1871 she overcame substantial obstacles to become the first woman to attend MIT, where she was denied a doctorate in chemistry because MIT did not allow women to be awarded doctorate degrees. 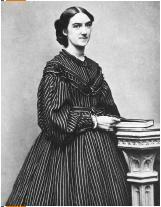 She then became the first female member of the faculty at MIT, resulting in, for example, both women and men having access to the school's new chemistry lab in 1878. SEE ALSO I NDUSTRY ; E NVIRONMENTAL M OVEMENT ; S ETTLEMENT H OUSE M OVEMENT . Chemical Heritage Foundation. Available from http://www.chemheritage.org/EducationalServices/chemach/hnec/esr.html . MIT Institute Archives and Special Collections. "Ellen Swallow Richards." Available from http://libraries.mit.edu/archives/exhibits/esr .